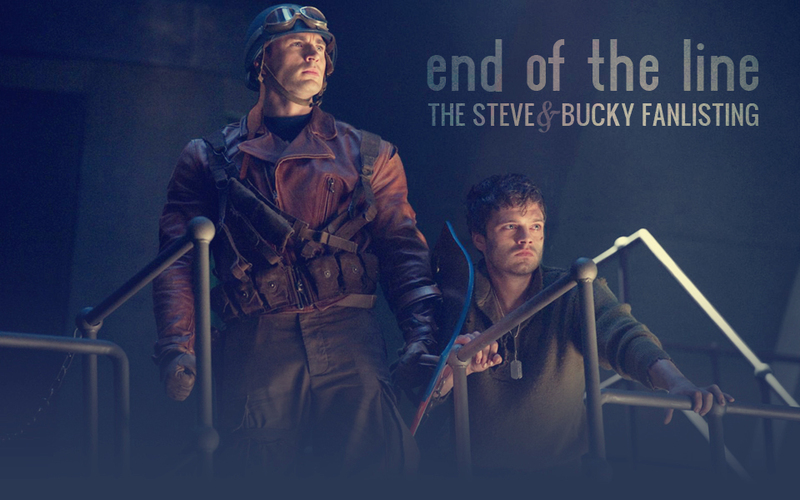 Welcome to The End of the Line, the only TFL approved fanlisting for James Buchanan ‘Bucky’ Barnes and Steve Rogers from Captain America. If you're a fan then go and read the rules and then join! This site is part of deadexit.org. This fanlisting is listed under the category Relationships: Book/Movie at thefanlistings.org. A fanlisting is simply an online listing of fans of a subject, such as a TV show, actor, or musician, that is created by an individual and open for fans from around the world to join. There are no costs, and the only requirements to join a fanlisting are your name and country. If you'd like to affiliate please email me at deadexit@REMOVETHISgmail.com with the subject 'Stucky Affs'.